Awesome! Look at those colors! 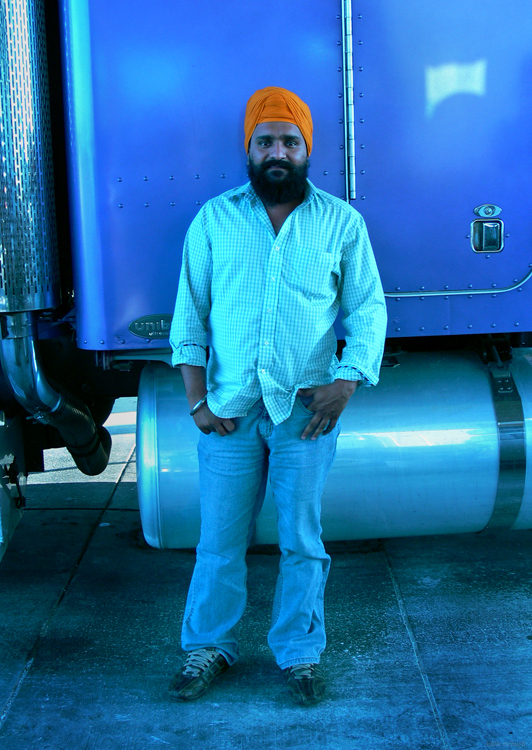 Not your typical truck driver. Very interesting portrait. There are so many great things to say about this photograph. I just sat looking at it for much longer than I usually look at a photo. To say why I like it is too analytical and takes away the magic… Well done!! !